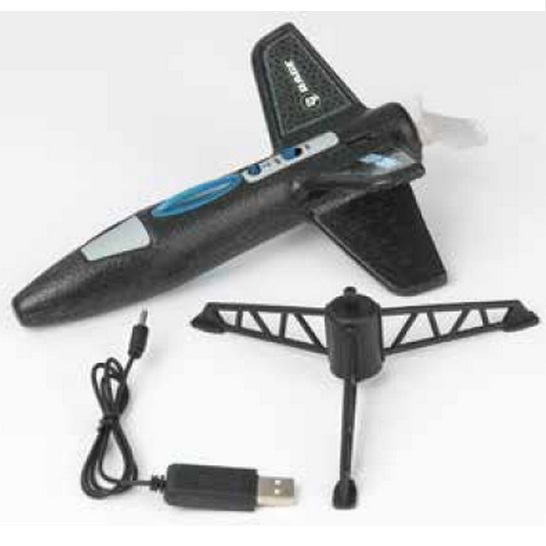 The Spinner Missile EP Rocket is simple, safe and convenient way to have hours of fun creating a personal space program by launching a model rocket into the sky. The Spinner gets its name from the way it "spins" off from the included launch pad on take-off. The brightly colored LED's flash for great visibility as it flies up to 50' into the sky. Best of all, the Spinner Missile is powered by a rechargeable battery, so no dangerous materials are used during lift-off and flight.